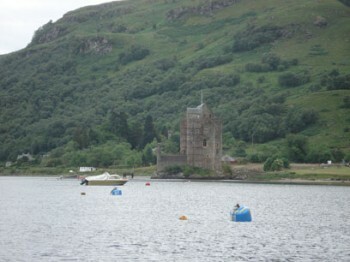 Carrick Castle, Loch Goil, now has Two 15 tonne Deep Water Visitors Moorings. Carrick Castle Boat Club now has two 15 tonne, deep water visitor's moorings in the beautiful sheltered area just north of the castle. It is a lovely tranquil spot to spend the night or take a day or two walking in the hills. A bargain at just �10 per night with free WiFi available on board. If you are just passing by, why not pick up one of the moorings for a free lunchtime stop-over! Water is available at the slipway just south of the castle and Red Diesel is available at Loch Goil Crusers just a couple of miles further up the loch (phone the boatyard on 07787 516 709). Rob Hope you are well. Sorry, not to do with boats. You may remember me from the Academy. I was telling a friend your story about the ancient apple tree you found. Any chance of more info please?